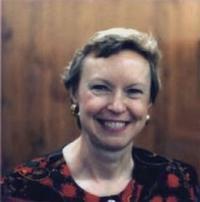 Martha W. Gracey, director and chief design engineer at Kaman Aerospace Corporation, passed away on July 28, 2002. During her lifetime, she held a variety of AHS leadership positions, most recently as the president of Connecticut Valley Chapter. She was a major presence in Kaman's engineering community, providing leadership and major contributions to the company's key programs. She began as a entry level design engineer. She later guided Kaman's transition to computer aided design and manufacturing and rose within the ranks to become technical leader of the Kaman's K-MAX and SH-2G helicopter programs. In recent years Martha was design leader for Kaman's Egyptian, Australian, and New Zealand SH-2G Naval helicopter upgrade programs.